Kind of like an F train in August with a busted a/c: it looked ok, until you got in there. 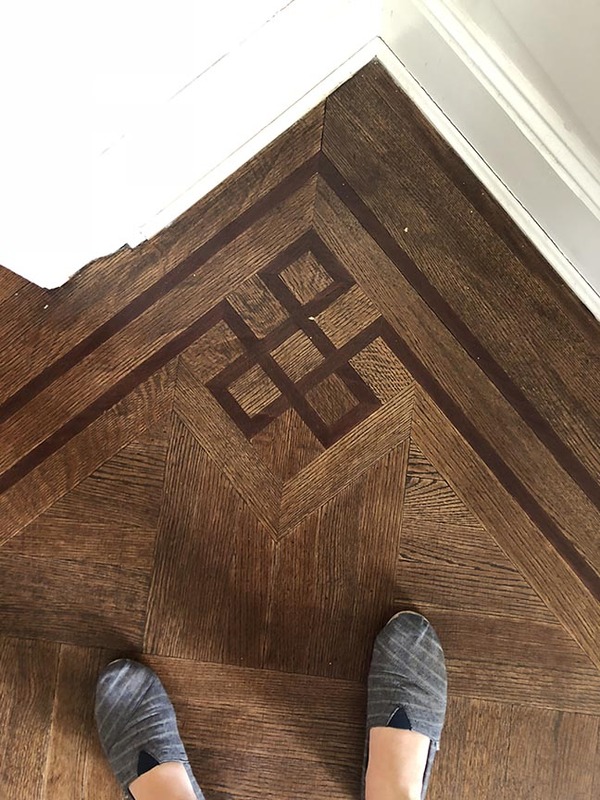 We received a call from homeowners in Cobble Hill who needed help, and quickly; their parlor level had sprung a leak, damaging the (otherwise quite lovely) parquet floors and the (actually not that great) kitchen. 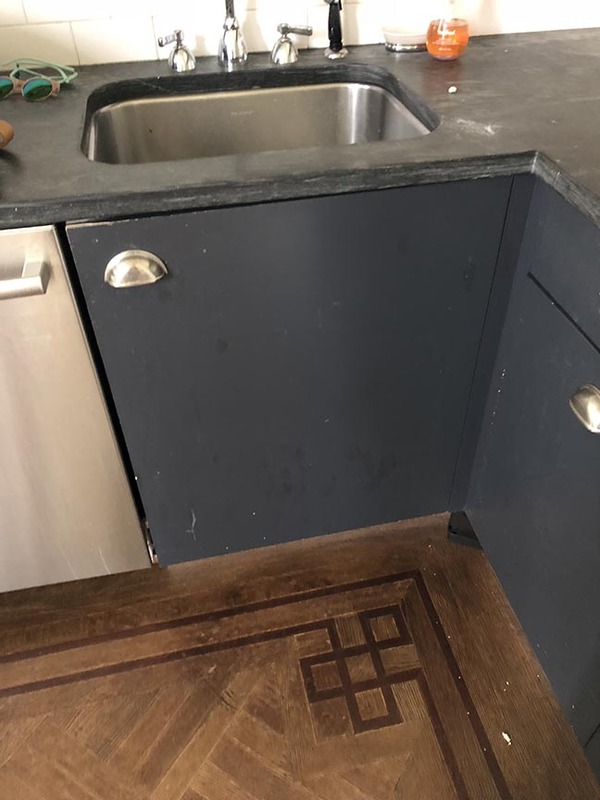 Insurance would help, and a team from their trusty GC was on its way with sledgehammers, but it had them thinking: if they had to live through construction anyway, was this an opportunity to do more than just replace the truly tiny kitchen? 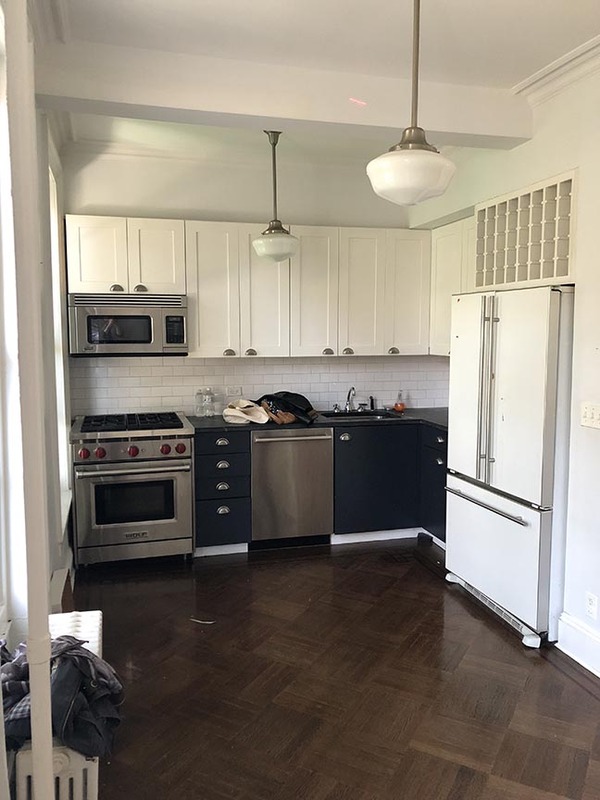 At first glance, the original kitchen was pretty, if small. 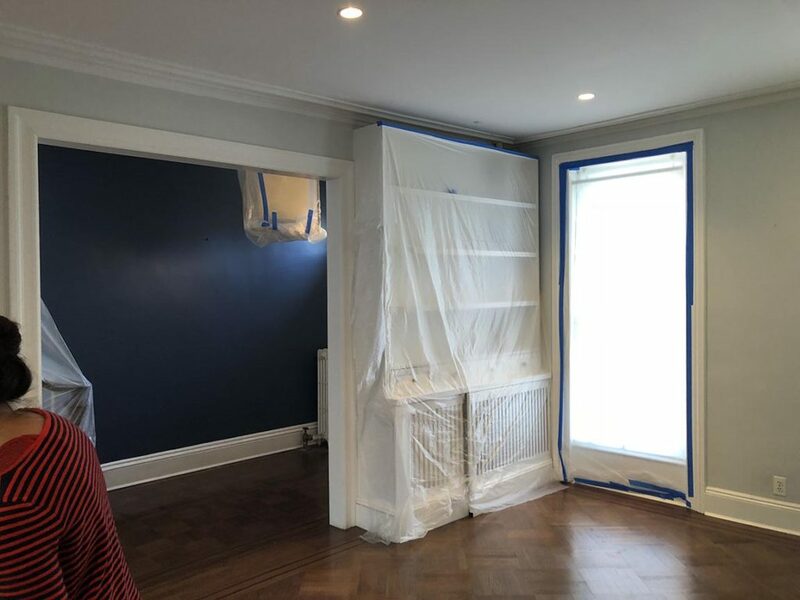 The finishes were nice, and the layout included the original parlor with lovely built-ins, a new powder room, deep closets in an area with dropped ceilings (where the HV/AC units were housed), and a large and bright area for cooking and dining. 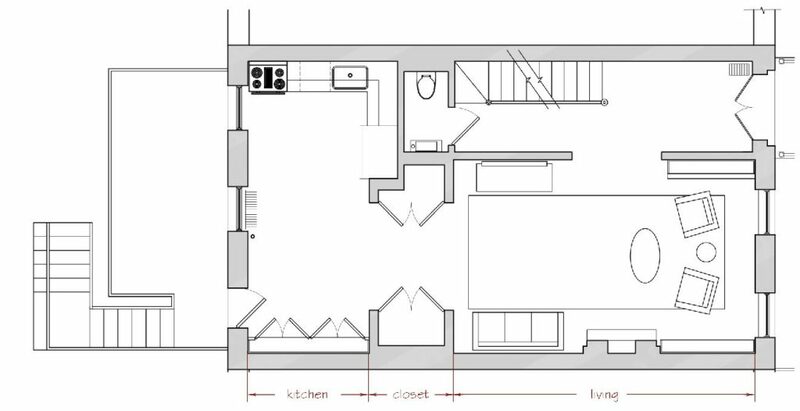 The only problem was the actual space dedicated to cooking was tiny, especially for a young family. As is the case in many historic homes, the windows were the culprit. 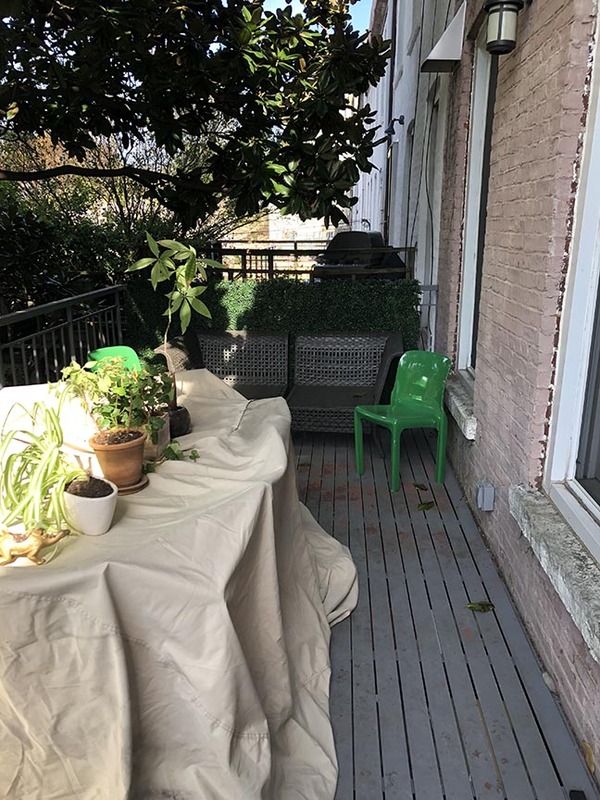 When most Brooklyn townhomes were built at the turn of the 19th century, the parlor level was for receiving guests, playing the piano, composing correspondence by the large and airy windows – anything except a kitchen. The window sills, therefore, are almost always lower than 36″ standard counter height. 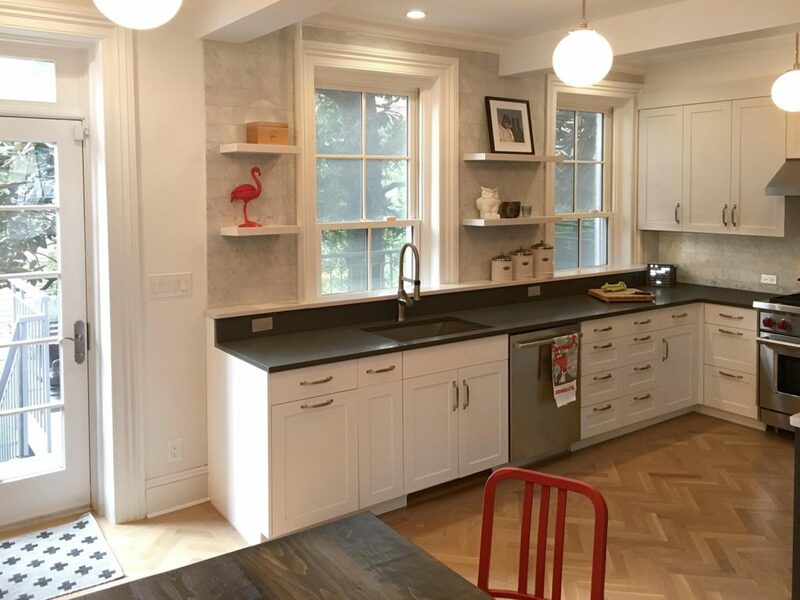 Aspiring home chefs must either squish their cabinets into the left-over spaces, stick their kitchens in the basement, or swallow the time and expense of filling in the exterior walls to make the opening smaller. If the home is Landmarked, that of course adds a pricey wrinkle to the proceedings. 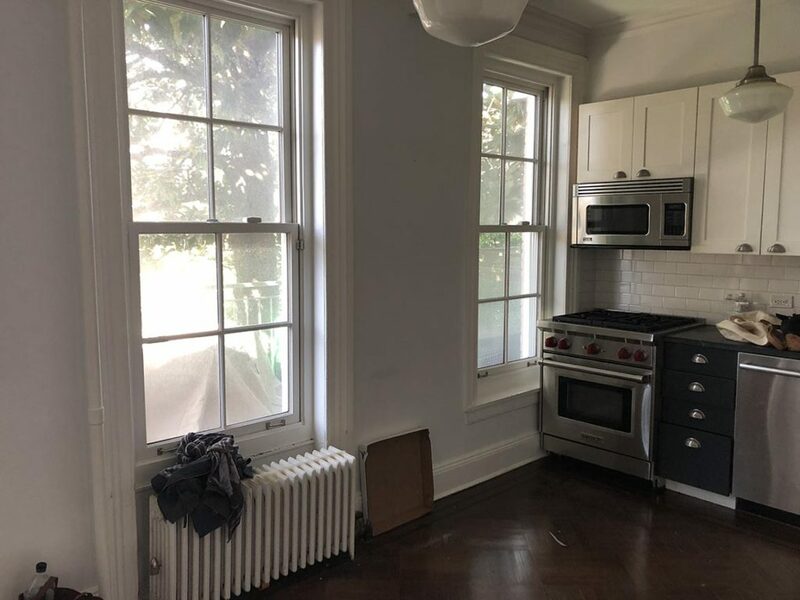 This house is not Landmarked, but neither budget nor schedule allowed for new masonry and windows. And a second practical problem was taking up valuable floor space: a large radiator, which was quite necessary. 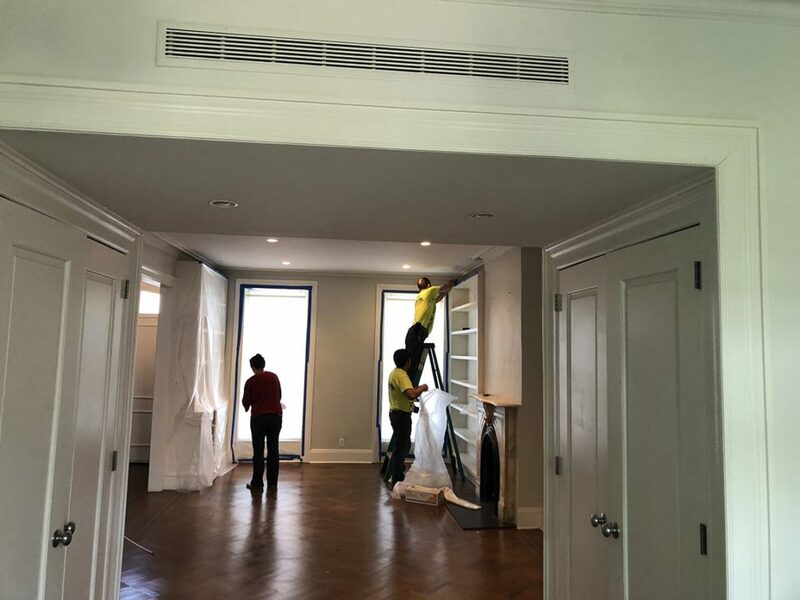 Radiators can be moved easily during a gut renovation, but it’s a complicated and expensive process in an otherwise-finished space. Luckily, this was not the first time BHA had encountered this very issue. 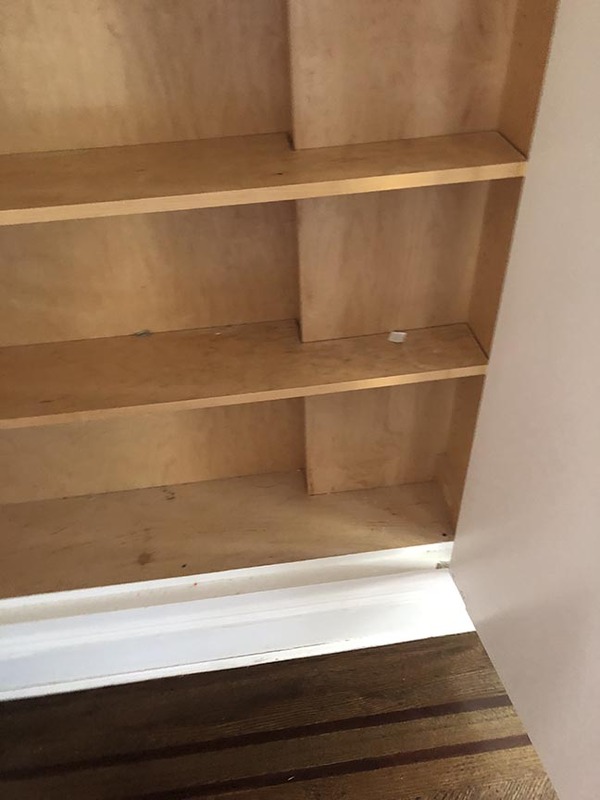 It’s not often that water pouring out of your ceiling has a silver lining, but closer inspection of the cabinets revealed that maybe this wasn’t such a disaster, after all. 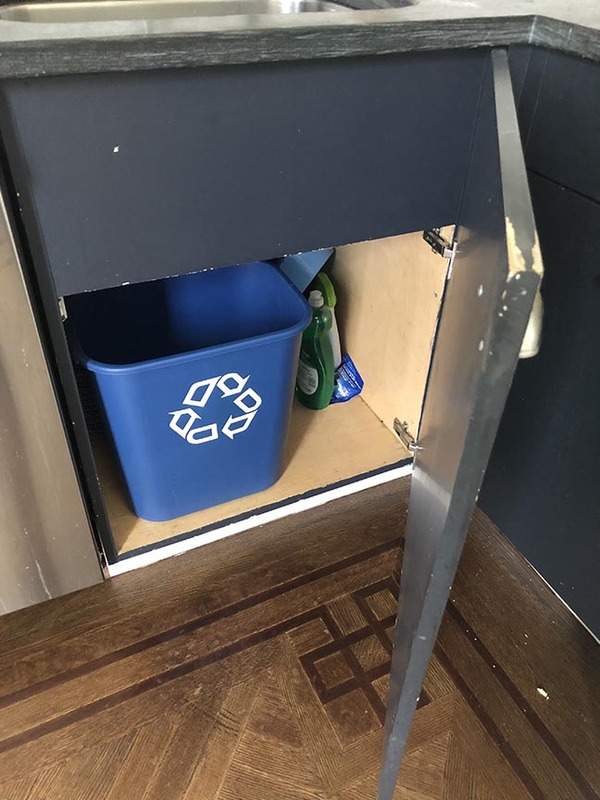 The sub-par paint job was badly damaged, drawer fronts and doors were irreparably out of square, and cabinet interiors were starting to fall apart. 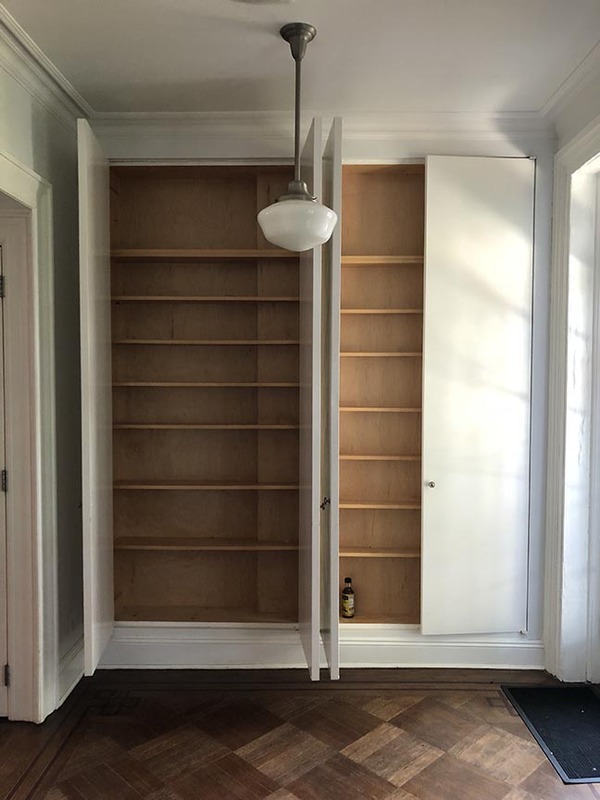 The pantry across the room was built around the door opening and a chase in the wall, making it so shallow that it could only hold cans of soup or pasta boxes – facing out. 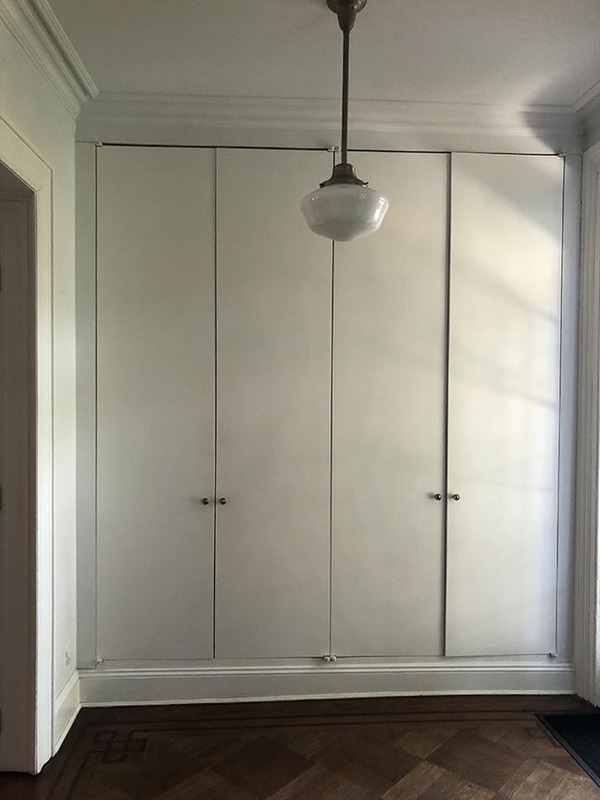 The other closets had the opposite problem: so deep that they became a jumbled mess. Tiny counter space was the tip of the iceberg. It was, in the immortal words of Cher Horowitz, a full-on Monet. Could BHA come up with some ideas? Reader, we could. Next time, every floorplan nerd’s favorite: schematics!